Is it Sacrilege for Men to Wear Uggs? Yep, I am a full grown man and while I have owned a pair or two of Uggs in my lifetime, I am not afraid to sport them around town. Heck, if Tom Brady (New England Patriots quarterback) can be their spokesman I guess its okay, right? In fact I found something WAY cooler than the Australian slippers that are all the rave. 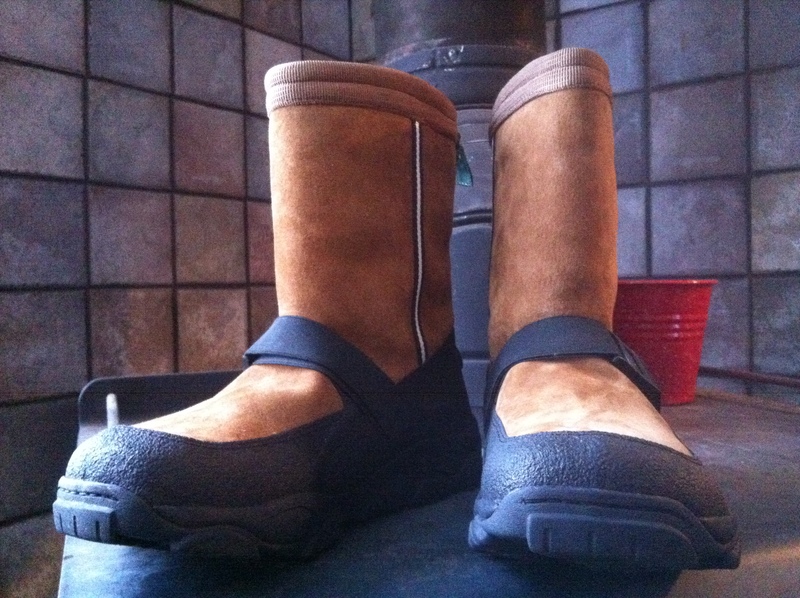 They are Cabela’s Alaskan Guide Sneakers. I just got them in the mail yesterday and can honestly say they are now my favorite pair of shoes. If you don’t know by now, it gets cold in Alaska. Dang cold. We were minus 25 degrees for almost a month this winter and if we believe a groundhog in Pennsylvania we are not done with winter yet. While I doubt they will replace my Neo’s or mukluks on the sled dog trail they will work great for working around the property, hauling wood, plugging in the truck, or trips to Wasilly. I would highly recommend any guy buy a pair of these. You won’t be disappointed. Just make sure you order your true shoe size as they run a little big. Previous Like Old School 1950s Style Horror and Sci Fi?